"You can't pay enough to get the kind of knowledge and transfer of information that you get here." There's no way you can put a price on the insights you'll walk away with from Dent Research's Irrational Economic Summit. Unique strategies and forward-thinking solutions that can quite literally save your wealth and set you up for life-changing gains. I recommend it to anyone. Its life changing as well as informative. It's absolutely thrilling… Meeting the people, Harry, Rodney and the rest of the panel has been absolutely amazing. I would absolutely recommend that any of my peers come to an event like this. But only if you're prepared now – before the massive financial bubble we're living in, finally reaches its breaking point. Harry Dent's world renowned financial research has proven to be on the money for three decades now… and the dire warning he's given about the state of our unsustainable economy should have you taking action now. The Dow at 6,000… 750 gold…$20 oil…and a 55% drop in housing. Or much of what you've worked so hard for could all be swept away. That's why you can't afford to miss this year's Irrational Economic Summit. And if you take advantage of this limited time early bird invite today, you'll pay a lot less than you will in a few months… hundreds of dollars less in fact! But before I get to that, I want to share with you exactly who'll be joinng us at this year's Summit. When you attend the fourth annual IES at the pristine PGA National Resort in Palm Beach, FL, you'll have the opportunity to learn personally top protection strategies and profit opportunities directly from Harry Dent, Adam O'Dell, Rodney Johnson and the entire Dent Research team. And they'll be arriving in Palm Beach equipped with fresh, actionable ideas and opportunities that you'll only be able to learn about at IES 2016. Come to this year's summit and you'll hear keynote speaker David Walker reveal the uncensored truth about how Washington created the monetary mess we're in… and what we need to know to get out of it. Called the "Paul Revere" of irresponsible government spending, Walker was the U.S. Comptroller General from 1998 to 2008, and served as the head of the U.S. Government Accountability Office. During his time as the nation's top accountant, he watched U.S. debt skyrocket from $5.26 billion to $10.24 billion. He was so dismayed at this unconscionable spending, he resigned and started the Comeback America Initiative. That effort is designed to raise awareness of unsustainable U.S. debt and lead national campaigns to build support for fiscal responsibility. 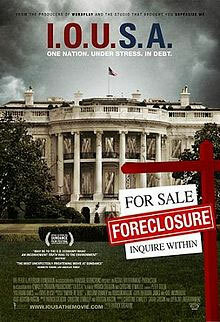 Walker has also authored three books and is the subject of the critically acclaimed documentary, I.O.U.S.A. At the summit, he'll highlight his plan to save the country from financial ruin and take questions from the audience. This is a rare chance to get a true insider's view of the inner workings of Washington – and to get the real truth behind today's politicized economy. We've also invited back internationally known economist Dr. Lacy Hunt. Currently he's executive VP of Hoisington Investment Management Company (HIMCO), a top-performing bond fund firm with over $4.5 billion under management. Dr. Hunt's unparalleled resume includes having served as chief U.S. economist for the HSBC Group, one of the world's largest banks. This has been a phenomenal experience. When you have the caliber of people and participants that we have… this is phenomenal. You can't pay enough to get the kind of knowledge and transfer of information that you get here. In addition, he's been executive VP and chief economist for Fidelity Bank, as well as VP for monetary economics at Chase Econometrics Associates, Inc., and senior economist for the Federal Reserve Bank of Dallas. He's also authored two books that belong in any serious investor's library: A Time to Be Rich and Dynamics of Forecasting: Financial Cycles, Theory and Techniques. Like us, Dr. Hunt is a staunch believer that our excessive debt will end up crippling the economy unless local, state and federal governments reverse their reckless fiscal policies (but don't hold your breath waiting for that to happen). You can expect him to reveal his latest research at the summit, including what assets he believes you should be looking to own in 2016 – 2017. 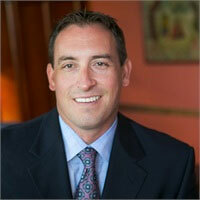 Chris Gaffney – a Senior Vice President and Director of Sales for the World Markets® Division of EverBank. He'll be covering unique high-yielding checking and savings accounts. Barry Potekin – VP of Managed Future Accounts for the RMB Group. He has been involved in a wide range of commodity research and trading activities since 1985. He'll be covering alternative asset and managed futures investing. Joseph Wirbick – President and co-owner of Sequinox, and a member of the HS Dent Advisors Network. He began his professional career serving in the Intelligence Department of the US Army as a Korean translator and signal interceptor. And of course, Harry Dent himself. will be on hand to break down every aspect of the powerful economic and demographic forces that are currently converging to soon create what will be the worst economic disaster in modern history. Plus the entire Dent Research team will be presenting live – Rodney Johnson, Adam O'Dell, John Del Vecchio, Lance Gaitan and Ben Benoy. They're all bringing you actionable solutions and opportunities you can use right now to fortify your assets and continue to build wealth even as the markets begin their inevitable crash. And by acting today, through this special early invitation, you'll pay the lowest price that admission to IES 2016 will ever be offered at – guaranteed. Reserve Your Seat Today and Save $500! These events are awesome. Where else do you get access to everybody at once? We'll be hosting private cocktail hours, exclusively for attendees where you'll be able to mingle and chat with our guest speakers. Also, many of our panel will be holding smaller, more focused breakout sessions, to take a deeper dive into what they're seeing in the economy today and what you can do to ensure you're on the right end of it all. I've had dozens of past participants tell me they've been able to make invaluable connections at our summits with fellow attendees and speakers alike through these functions and as an IES attendee, they're all included in your admission. I'd love for you to experience it all for yourself, Oct. 20-22 at one of the most beautiful resorts in Florida, the PGA National Resort in Palm Beach (the home of the annual Honda Classic Golf Tournament). And if you're one of the first 100 to register, you'll save $500 through our fast action discount. This early opportunity will be the lowest price you'll ever see access to IES offered for. So don't let this early discount slip away! Reserve your seat now and put the money you save to better use! But remember, we only have 100 of these advanced spots available. And they'll fill up very quickly. I'm looking forward to joining you and our entire panel of experts in Palm Beach this fall! I'll see you at the Irrational Economics Summit 2016! P.S. Given how quickly these discounted seats fill up, this may be the only time you see this offer. So please don't put it aside for later.